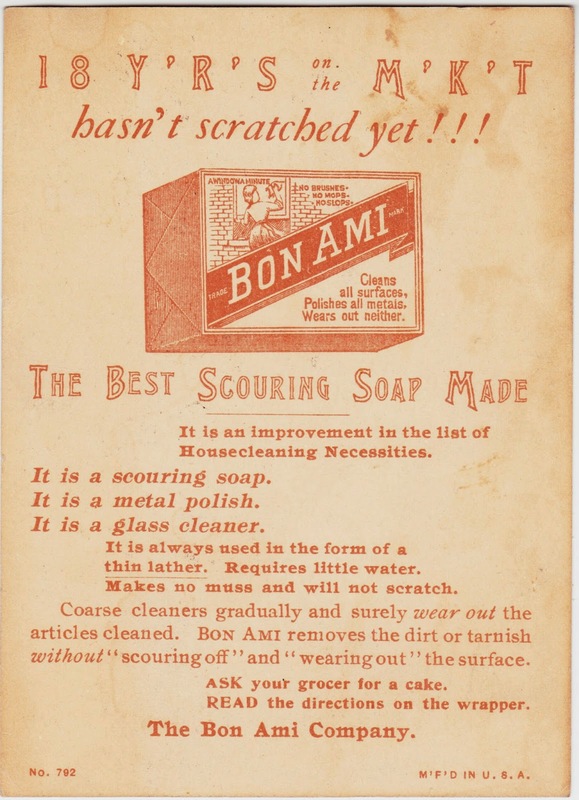 Back in January, I did a quickie post — as part of the Far-Out Vintage Advertisements (FOVA) series — featuring a circa 1904 magazine advertisement for Bon Ami scouring soap. Bon Ami is still very much in business. You can read about its history in a series of illustration-filled slideshows on the company website. "Born in Reading, Pa., in 1870, to a German-Jewish immigrant father and a mother from Philadelphia’s prominent Drexel family, Benjamin Franklin Austrian was a sickly child who found the inspiration for some of his best-known artworks while spending summers on a farm near Kutztown, Pa., for his health. It was there that Austrian developed a particular affinity for poultry after seeing a hen leading her brood down from the haymow. This inspired him to begin painting the hens and baby chicks that would become the favorites of locals and Europeans alike. "Austrian also did advertising artwork during his career. 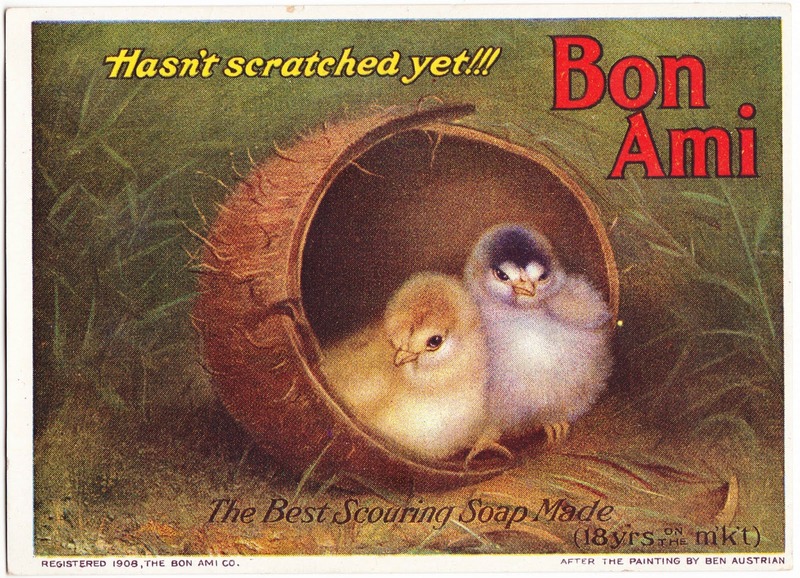 In fact, one of his best-known drawings can still be found on the shelves of modern supermarkets a century later: Austrian was the creator of the baby chick shown in advertisements and on containers of Bon-Ami scouring powder along with the slogan, 'Hasn’t scratched yet.' Some early Bon-Ami advertising art also depicted a housewife; it was an image for which his wife, Mollie, served as the model."